Most of us learned about immigration to the United States in the classroom and the personal stories we did hear were from a hundred years earlier – the joy, fear, and hope people felt as they stepped off the ship onto Ellis Island. After that they just became “American”! Right? On this episode we explore how two women, one during the 1920s and one just a few years ago, navigated the American immigration system and all its pitfalls. 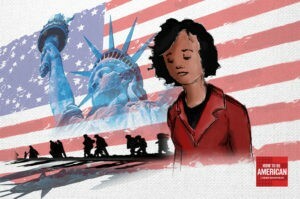 Cora Cervantes was born in Mexico, but moved to the United States when she was just seven years old. She grew up in East LA before moving to New York City to attend Columbia University. It was there that she enrolled in Dr. Ngai’s course. 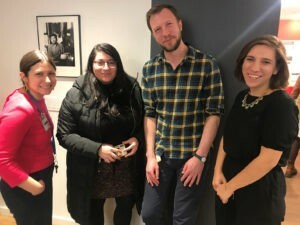 For one of her class assignments was to share the story of an object on the Tenement Museum’s online storytelling platform Your Story, Our Story. It was almost five years ago that Cora shared the story of her family’s Comal with the Tenement Museum. Click here to read her story, and to explore the almost 5,000 stories that have been shared on Your Story, Our Story so far! Mae M. Ngai is a U.S. legal and political historian who explores questions of immigration, citizenship, and nationalism in the United States. Dr. Ngai is a Lung Family Professor of Asian American Studies and Professor of History at Columbia University in New York City. Dr. Ngai is an award winning author and has written for the Washington Post, New York Times, Los Angeles Times, the Nation, and the Boston Review. Dr. Ngai has provided invaluable insight into immigration history and policy for the Tenement Museum, and most recently consulted on the development of the Museum’s newest exhibit, Under One Roof. 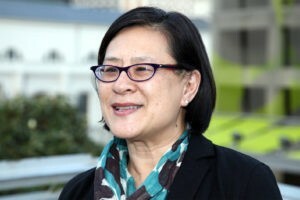 In 2018 Mae Ngai joined the Tenement Museum’s Board of Trustees. In this episode we share the story of Rosaria Baldizzi. The Baldizzi family moved into 97 Orchard in the late 1920’s and remained living there until the building was condemned as a residence in 1935. 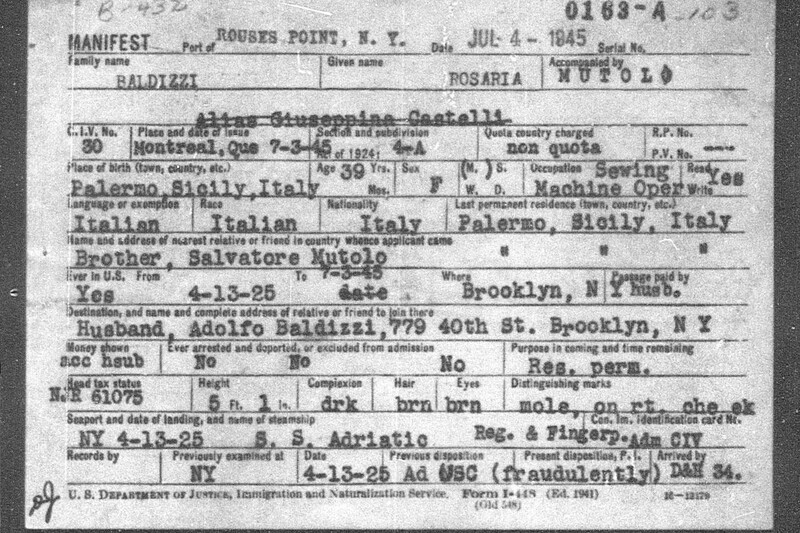 Their journey from Sicily to New York had it’s share of unique complications and challenges, yet it was typical of many immigration stories from the 1920’s. The Baldizzi Family, and their life on Orchard Street, is featured on our Hard Times Tour. 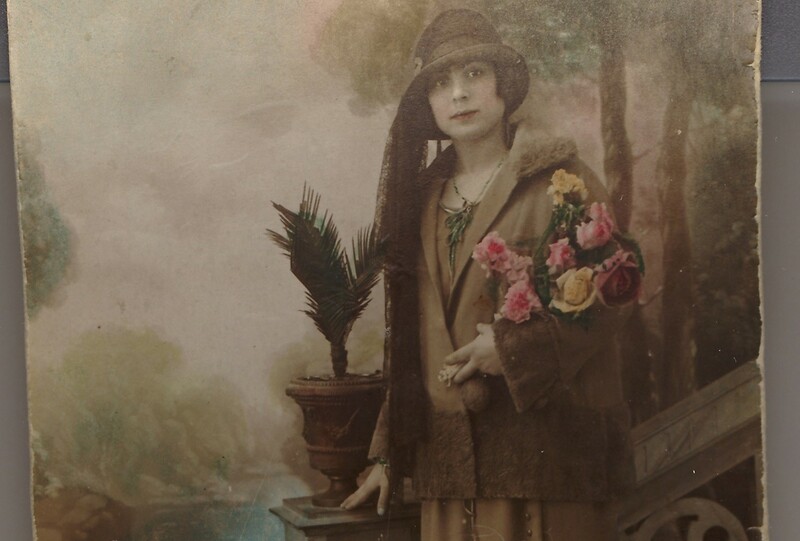 This photograph of Rosaria Baldizzi was taken in Sicily in the early 1920’s as she waited to be reunited with her husband. 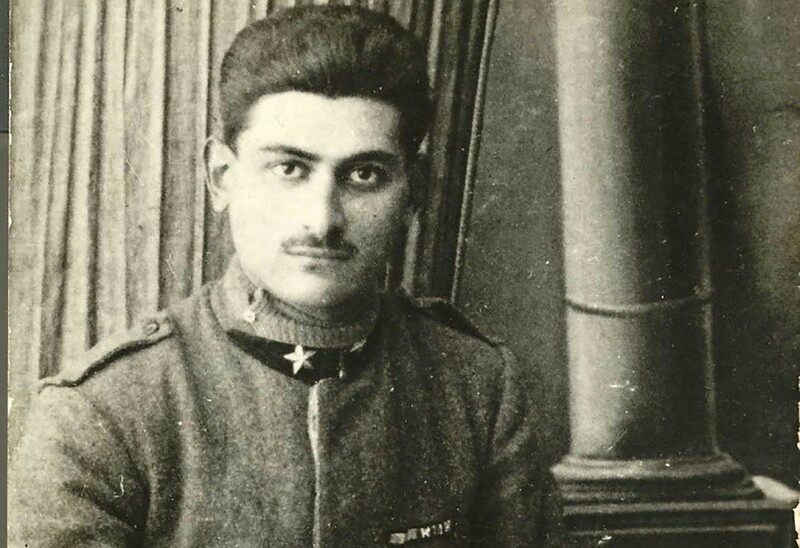 This is a photograph from 1918 of a young Adolfo Baldizzi in his World War I Uniform. 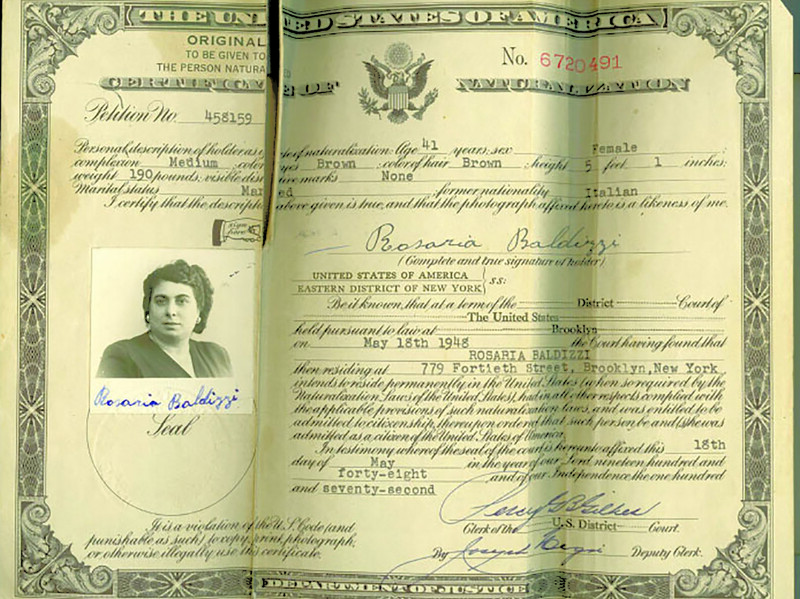 In 2016, the Museum discovered this document which had been digitized by the US Department of Justice, Immigration and Naturalization Service and posted to an online archive. This document states that on July 4th 1945, Rosaria re-entered America through Rouses Point from Montreal Quebec, Canada. The Tenement Museum has conducted extensive research into the lives of the residents of 97 Orchard Street. Shortly after the Museum began in 1988, through a series of newspaper articles and journal entries designed to connect with former residents, Josephine returned to 97 Orchard. At the time Josephine was in her 60s and she contributed hours of oral history. For this episode we drew extensively on Josephine’s memories and the years of historical research that went into the creation of the Hard Times tour.